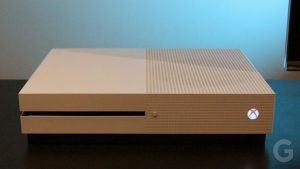 The Xbox One S released by Microsoft is not exactly a new console but a subtle upgrade to the existing Xbox One. It’s far slicker and prettier, fixing many of the original console’s aesthetic issues. It also adds 4K and high dynamic range (HDR), which means your games and videos can make the most of the latest TVs. It falls in the gap between smoothed-out hardware revision and the tangible performance improvement players expect from a new console. On the hardware side, its miniaturization is meant to leapfrog the PlayStation 4, which is smaller and subtler than the original Xbox One. 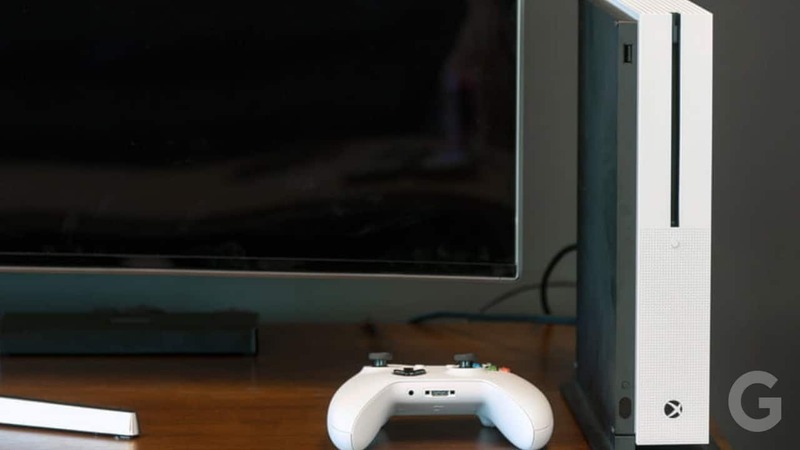 In software, the Xbox One S is Microsoft’s standard-bearer for Windows 10. 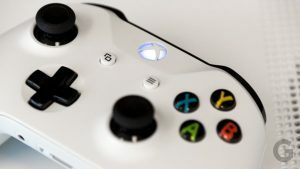 You can find out more about the One S’s design, features, specifications, controller, performance, price range and more in the Xbox One S Review and Specifications. It has a cheap UHD Blu-ray player and is HDR compatible. It has an improved and grippy controller. It has strong input/output selection. It has ultra HD Blu-ray support. It has enhanced compatibility with Windows 10. It needs an adapter for Kinect Port. Its 4K gaming is limited to upscaling. Its hardware is still slower than PlayStation 4. The Microsoft Xbox One S doesn’t exactly offer the big graphical bump of the PS4 Pro or doesn’t even benefit from the major horsepower boost of the next-generation Xbox One X. But, still it was the best-selling console of 2016 This was because at that time it was the most affordable UHD Blu-ray player available in the market. It was the only console to play 4K Blu-rays at the time of its release. It is quite easily the best system, hardware-wise, since the Xbox 360 Elite that Microsoft released back in 2007. 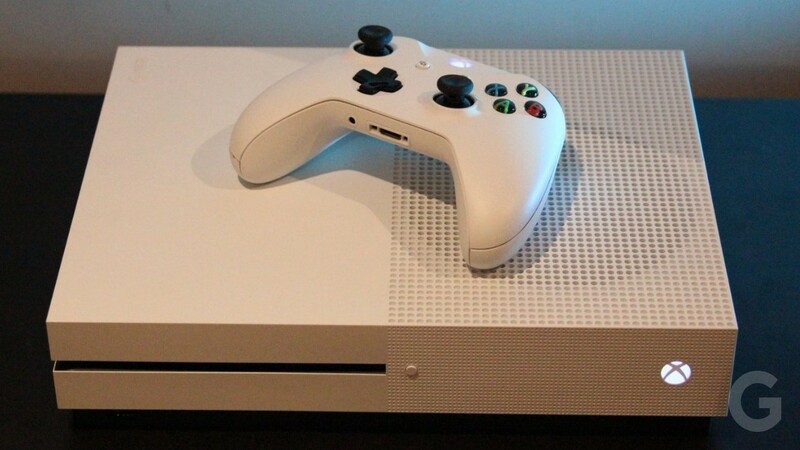 The Xbox One S is deep down the same console Microsoft released in 2013, there have been significant changes. It’s far slicker and prettier, fixing many of the original console’s aesthetic issues. It is wider and a bit taller but not quite as deep. Though its size has been reduced still it looks very attractive. One half of the One S is flat, while the other half is dotted with exhaust vents. The chunky air conditioner-style grilles have been replaced with a subtle pinhole design. The original’s glossy black plastic, which was a dust magnet and suffered scratches way too easily, has also been ditched. 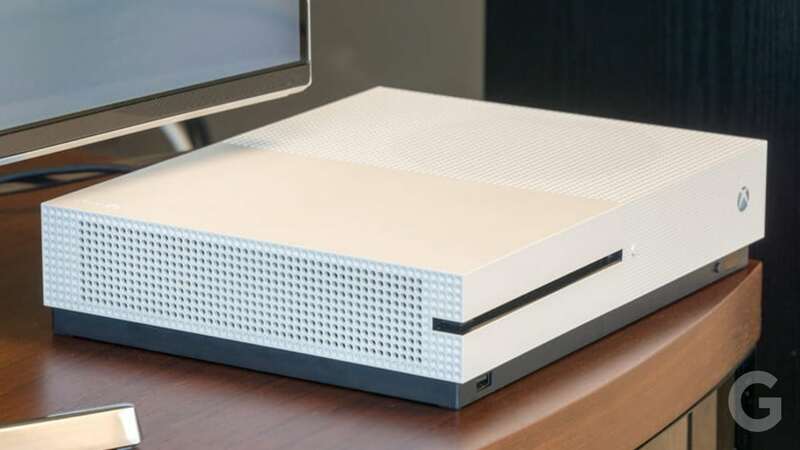 The Xbox One S Design has a matte finish all over and has a Stormtrooper chic thanks to its white with black accents. 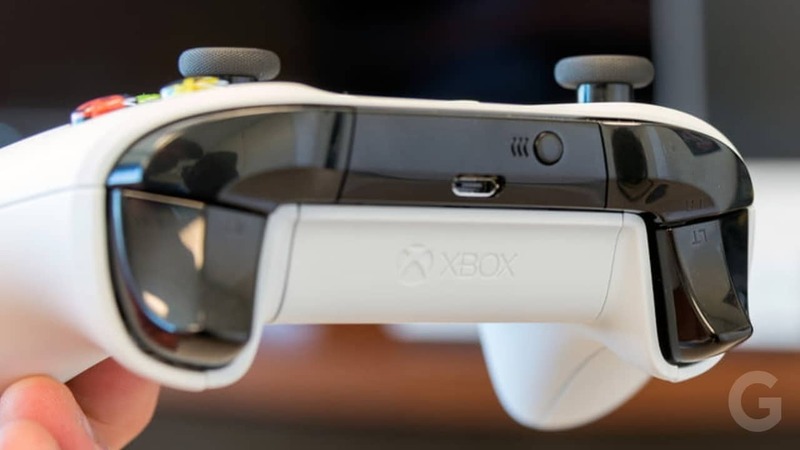 The power switch is now a physical button, which is a lot less susceptible to accidental activation than the Xbox One’s touch-sensitive offering. There are a USB port and a controller-pairing button at the front. Before they were hidden away at the side. 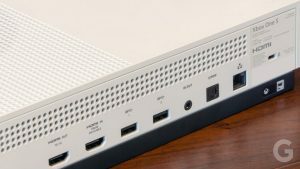 Most people view the Xbox One S from the front. 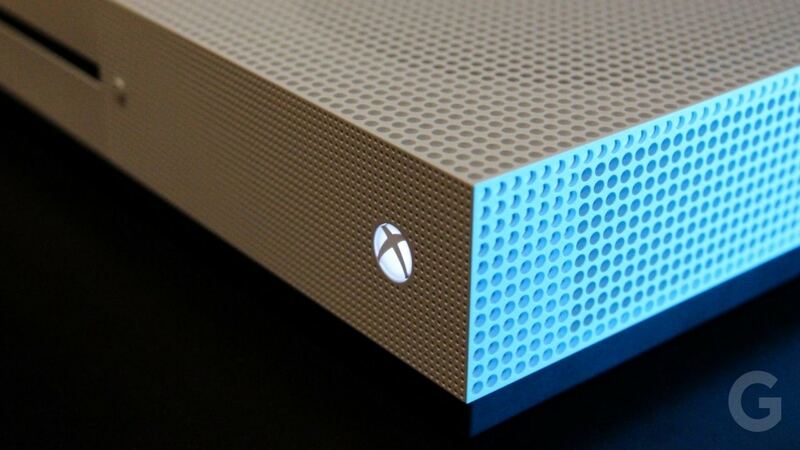 From that angle, it’s easily the best-looking console released this generation. 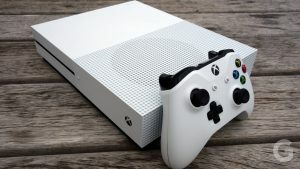 Xbox One S adds support for 4K video, as well as a 4K Blu-ray player that isn’t found in either the PlayStation 4 or the PlayStation 4 Pro. To be clear, the support for 4K resolution does not have an impact on games. They will render with the same frame buffer as before. But unlike the original system, it is capable of native 4K output for the interface and media. 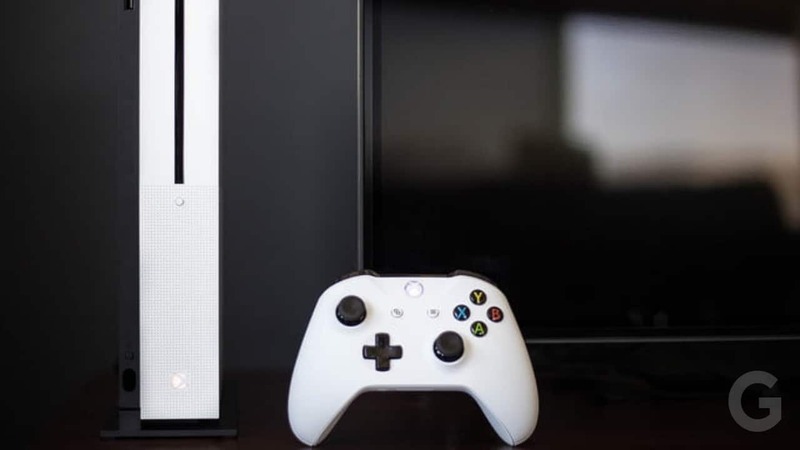 The Xbox One S also includes features like Cortana and further Windows 10 support when it was first launched. But, above them, all the most interesting new feature added is the Copilot feature. 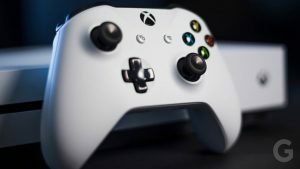 The Xbox One S Features also include the Microsoft Mixer service. It allows you to instantly start broadcasting your game without having to open another app, and you can even use the guide to enable or disable microphones, add party chat, or turn on comments. The streaming quality is excellent, and comments are displayed almost instantly after they’re sent using the Mixer mobile app. The Xbox One S Specifications have been tweaked as well. Its HDMI output has been upgraded from 1.4a to 2.0. Other than technically being capable of supporting 4K it can output proper 4K at 60Hz. An IR blaster has been added to the front. That’s Microsoft’s way of increasing the Xbox One S’ multimedia capabilities. The IR blaster lets you set the Xbox One S to turn on other devices, such as your TV or home-cinema amplifier. It is powered by an equivalently specced eight-core AMD custom CPU, clocked at 1.75GHz and the same Radeon GPU with 1.23 TFLOPS peak shader throughput and 8GB of DDR3 RAM. The chipset may be the same as before, but the GPU frequency has increased from 853MHz to 914MHz. Though it can be considered a minor improvement in performance, Microsoft says it isn’t supposed to be a selling point. Instead, the extra power is there to handle the strain of HDR games. 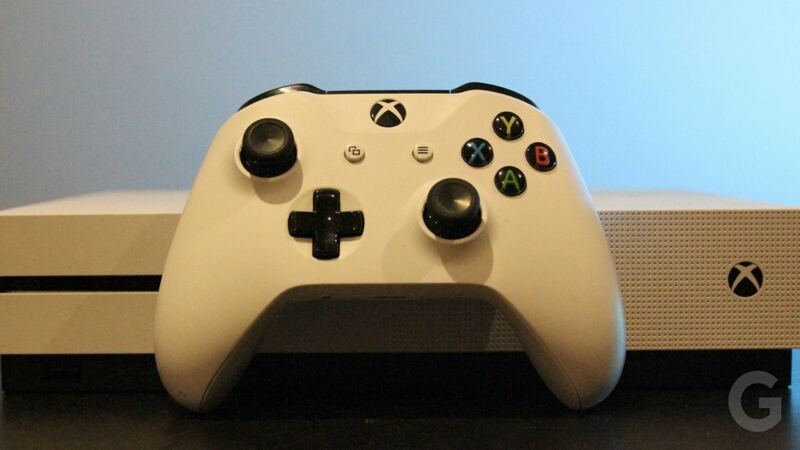 The Xbox One S Controller has also been tweaked a little. It feels halfway between the basic Xbox One pad and the super-expensive Xbox One Elite Controller. It retains the ergonomic shape of the previous model, but the rear now benefits from a more grippy texture. The thumbsticks are also now made of new material. As of the power is concerned, the pad works on AA batteries. Microsoft has finally added Bluetooth functionality to the controller. This is a great addition for PC gamers who can use Xbox controllers without shelling out for an Xbox USB Wireless Controller Adapter. The Copilot feature added in the One S is a very interesting feature as by pairing two controllers together, a less-experienced player and a veteran can both control the action in a single-player game at the same time. If one of them is struggling to complete a certain area, the other can instantly take over and give them the boost they need to keep playing. The Xbox One S Performance wise is not better than the PlayStation. However, the Xbox One S Console is slightly quicker than Sony’s. This is due to a higher clock speed on the GPU and associated ESRAM. This is enough to get an extra couple of frames in titles that run at an unlocked framerate. It can smooth out tearing in some games, but the difference is usually not noticeable in gameplay. It’s more powerful than it was when the Xbox One came out three years ago. It is also more spacious thanks to a larger 2TB hard drive that can be found in many of the special editions of the console. The Xbox One S has been priced at $399 for 2TB version. While the 1TB version has been priced at $299. It cannot be considered to be the best gaming console launched in recent times as it less powerful than Sony. Though it is a great home theater appliance. Other than a 4K capable Blu-ray player the One S has nothing else better than the Sony PlayStation 4 Pro which comes at the same price as the One S. Its advanced version, viz, Xbox One X is the best gaming console available in the market as of till date. It is however priced at $500. 🏆 If you have used or if you are using this gaming console, please leave your Xbox One S review in the comments below and help our readers choose.